As countless other author/publisher partnerships, and Gregor Mendel, have found, the Kitchen and Garden make good laboratories. This cannot just be because, there, splashes and messes are more easily forgiven and cleared up than in the parlour (where Victorians used to show off their experiments), but 'take it outside' or 'do it over the sink' are still useful precautionary instructions when anyone starts messing about investigatively. So in 'Backyard' we find plenty of investigations that have little to do with horticulture. 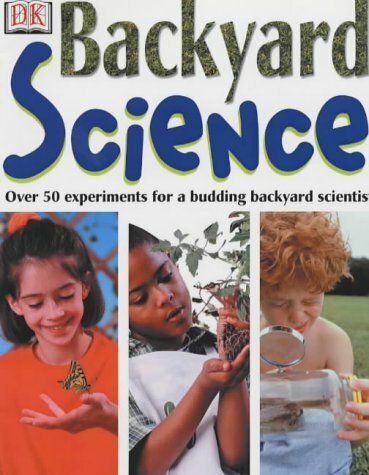 The addition of astronomy, cardiovascular physiology, solar clock and the Doppler effect to more familiar plant and soilbased experiments extends the scientific range of the book and makes more of it accessible to those without lawns and flowerbeds. 'Kitchen' is more completely culinary, though. We can make butter, blow soap bubbles, discover that skinned lemons sink and discover that toasters make toast, ice melts in the hand and oven-racks make a nice twanging sound when played with a wooden spoon. 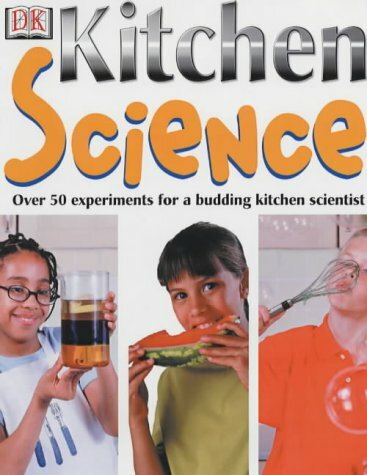 In each volume the 'Science' contribution is lightly stated and sufficient only to the needs of the 'fantastic experiments' (over 50 in each book) so these are not science books first and foremost but fun things to do, with, as Duke Ellington didn't quite say, 'Science in the background'. But they are undeniably friendly, safe and, in the main, sound (although don't try the 'heart' experiment on p.45 of 'Backyard' without much bigger washing-up bowls than those pictured; small dustbins would be better, as the experiment involves five gallons of water). Not essential for a school library, these books would nonetheless make a pleasant addition and their production suggests that they will last until next summer's holidays, when they will be at their most useful.